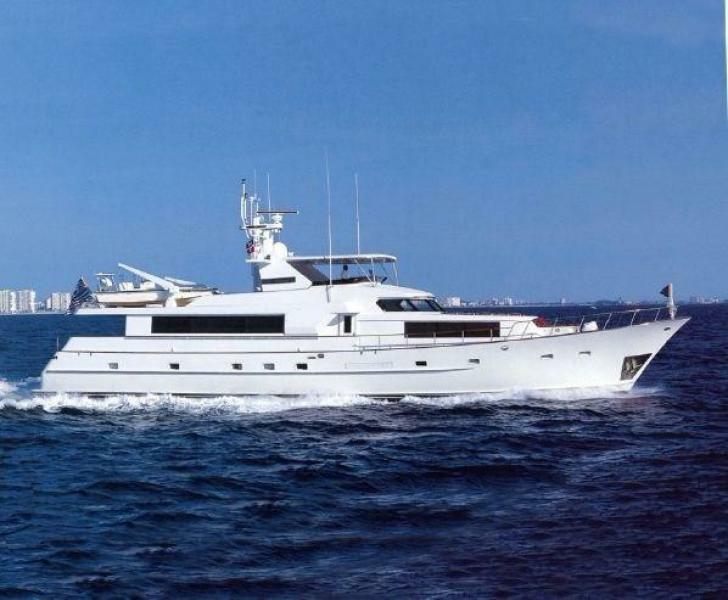 United Yacht Sales New Jersey would love to guide you through a personal showing of this 102' Broward Raised Pilot House 1985. 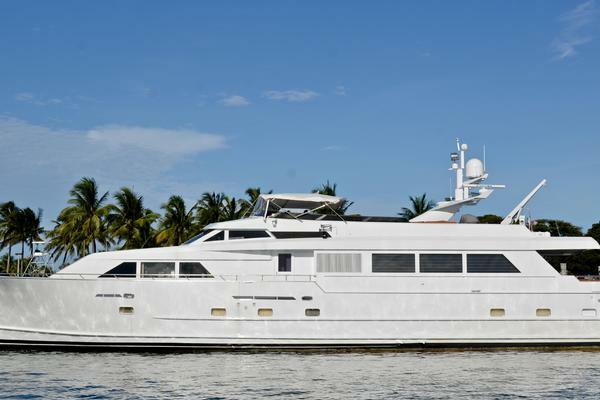 This yacht for sale is located in Edgewater, Maryland and priced at $895,000. For a showing please contact us by filling out the form on this page and we will get back to you shortly! 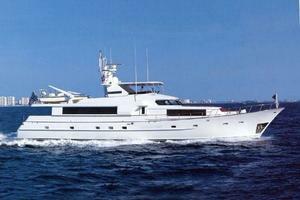 Lower deck starting aft: two ensuite twin berth cabins and full width master with his and hers baths. Next: forward engine room across, along with access to three crewcabins forward. Main deck aft: Swim platform with door to storage lazarette; twin curved stairways up to aft deck; disappearing sliding doors to interior; dining salon and bar; main salon; day head aft of pilot house; port and starboard side door entrances; port and starboard steps up to pilothouse; galley/country kitchen with seating forward, additional full head forward; stairway down to crew quarters; VIP stateroom; foredeck lounges. Flybridge and Boat Deck: Accessed via stairs up from pilothouse. The Flybridge and Boat Deck are reached by stairs up from the pilothouse. Protected under a sturdy Pipe Welders aluminum framed soft top and Bannenberg styled radar arch. 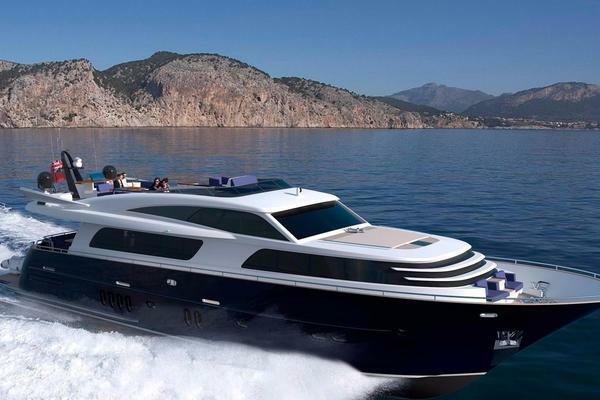 A centered helm with desired remotes with new Simrad display, twin Besenzoni helm chairs, teak deck and bench seating for twenty or more guests. Centered is an island with refrigerator, sink, storage and mast for antenna. The spacious Boat Deck has twin electric davits to launch and retrieve tender, stainless barbeque and 2 cradles for jet skis, 2 life rafts in storage for paddle boards. 2 umbrellas aft which provide coverage for seating area in addition to soft top.